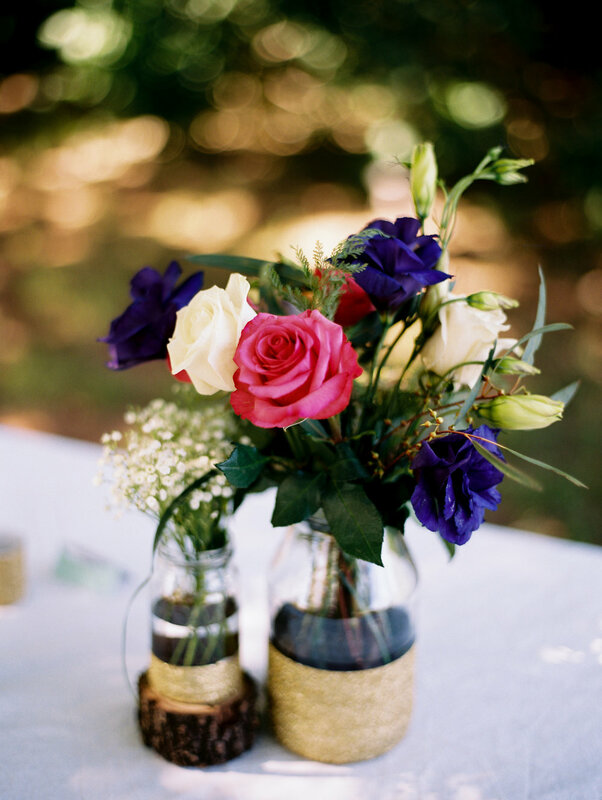 Designing your dream day, in flowers. Mary-Ruth Chapin has a way with flowers and people alike. Her presence on your wedding day will make you smile as completely as the rose would. Celebrating 30 years in the business of beautiful florals and happy couples! From Baltimore to New Orleans and anywhere in between, we have the knowledge and materials to make your wedding day bloom. Let us transform your living space into an inviting place for friends and family to "cozy up" as they say. Holiday decor and more. Be it congratulatory or reverent, we are here to honor your guests and loved ones during your most cherished times together. Purples with fresh pops of sunflower. 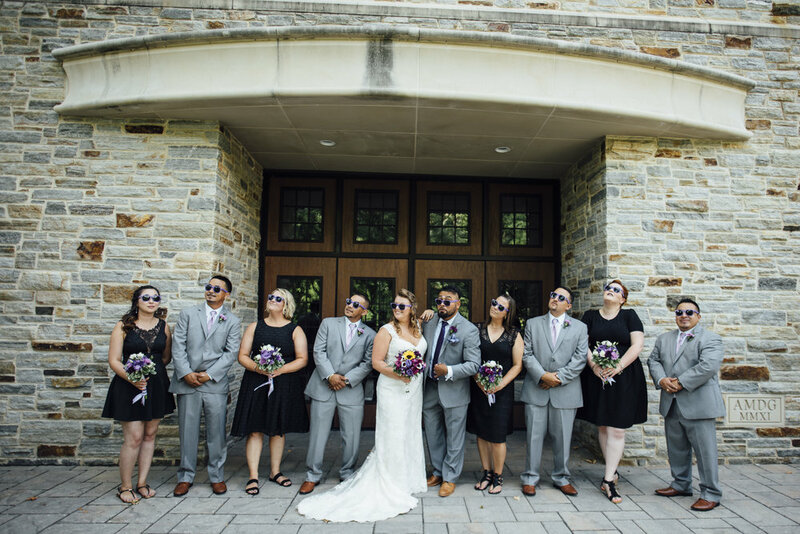 Julie and Arturo's summer wedding was perfectly accented by deep purple hues and bright, happy sunflowers. Nothing says summer more than that sunshiny yellow! Be sure to visit the Photos tab in the menu to see more from this wedding. Photography by: G. Chapin Studios. 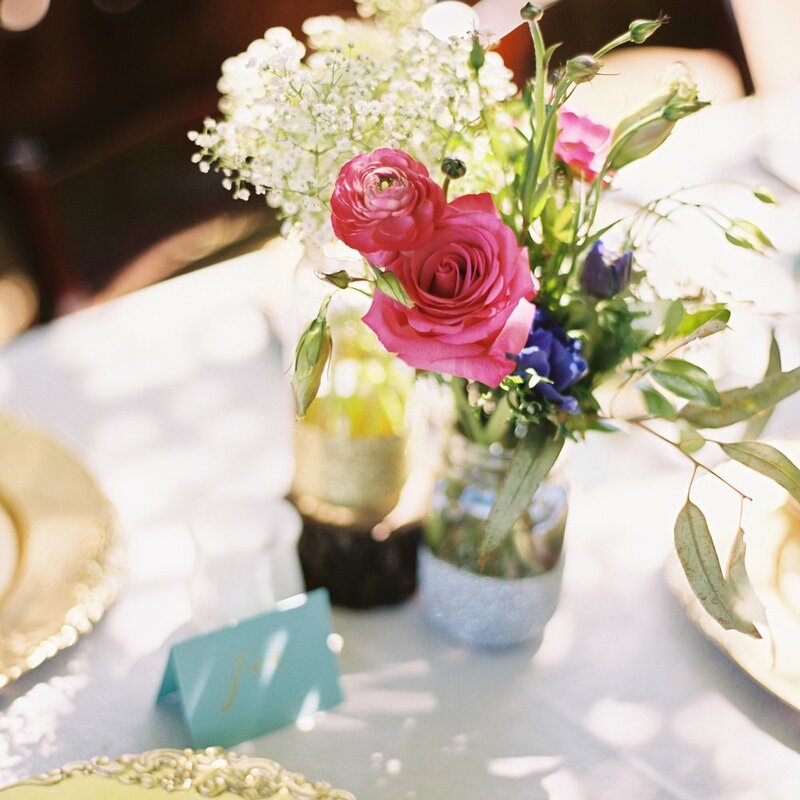 An elegant yet laid back affair in Edmund, Oklahoma. Jodi and TJ were married outside in front of a single oak tree set before a vast field. The Barn at the Woods was the perfect venue for the occasion, with plenty of space for everyone to enjoy countryside peace and the comforts of a home-like feel. Maile Lani Photography captured the day beautifully. Old World charm in the Big Easy at iconic Race & Religious. Kathryn and Chris were influenced by the elegant beauty of the venue they chose. They needed flowers that complimented the rustic look of the space so we went with whites, creams, greenery, and a pop of blush pink. Race & Religious is one of the cities most popular venues because it is a one stop shop with space for your preparations, ceremony, reception, and overnight accommodations if desired. Photography by G. Chapin Studios. Gabby + Jason's Wedding at Bridal Veil Fall. Warm and vibrant harvest tones were the inspiration for this earthy wedding that took it's keynotes from nature. Ranunculus, roses, and dahlias, oh my! We spent the day before the wedding assembling centerpieces with friends and family. It was a beautiful collective effort and our hotel suite smelled amazing! Gabby and Jason took one of the succulents from their flowers after the wedding and put it in a pot at home. FIVE years later, its still going strong! Photography by Glass Jar Photography.